Take a bit of Coco with you! We offer health and beauty products to restore your natural radiance, while maintaining healthy, beautiful nails, skin and hair! AlumierMD is the high-end skincare line we use in house for our clients and ourselves. It was created by a team of experienced PhD biochemists, physicians and skin care specialists with your skin health in mind. Their developed scientific formulations use innovative, medical-grade ingredients and an advanced delivery system giving you the luxury of professional treatments with at home care. AlumierMD is dedicated to protecting and preserving our natural resources. They diligently work to decrease their carbon footprint and increase their sustainability. CUSTOM BLEND FOUNDATION – Why Custom Blend Foundation? Because everyone is an individual with a unique coloring, skin type, personality, lifestyle and preference. Custom Blending makeup in the colors and formulas that are right for each client only makes sense. It is the way cosmetics should be! We can customize the color of your mineral liquid or powder that match perfectly to your skin, so you look like you don’t have any makeup on. The best part is that it includes modifiers and enhancers that allow you to further customize the foundation and target specific concerns. Motives® by Loren Ridinger® is revolutionizing the cosmetics industry with its innovative Custom Blend products. Our superior quality Custom Blend products will provide you with an unparalleled opportunity to offer exclusive products, foster customer loyalty and reap substantial profits. LASER FREE, NEW AFTER TREATMENT FOR WAXING/THREADING AT COCO BEAUTY BAR! EpilFREE System for hair reduction is a professional system developed in Europe taking two liquids used in tandem after waxing (or other method that removes the entire hair follicle from the root) to gradually reduce and stop further growth of hair in the treated areas. It’s available in three concentrated serums (facial, intimate care and body care) each made for different hair types and specific body or facial areas. Now available at Coco Beauty Bar, system is performed by our well trained professionals. For every reason, every season, there’s O•P•I. These amazing nail products help you create, stunningly noticeable nails that look great for every occasion! Be sure to check out their “Try on This Color” feature to find the perfect coordinating colours! 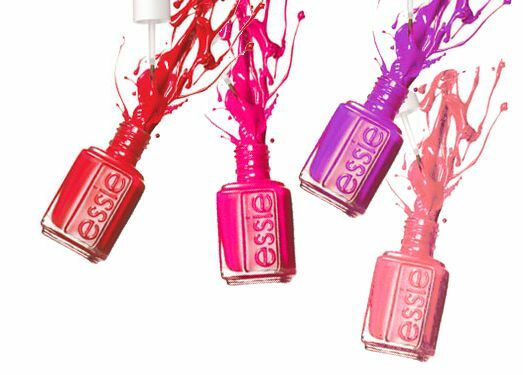 With products for cuticles, treatments, and coats for top and base, Essie® has all your bases covered! We particularly love their Special Effects selection, featuring patterns, shades and textures you simply won’t find anywhere else!